Visme allows you to lock and unlock objects. Every object resides on a layer and that layer can be kept locked or unlocked. Why would you want to have an object locked? Sometimes you want to work near a stationary object and don’t want to keep accidentally selecting it. 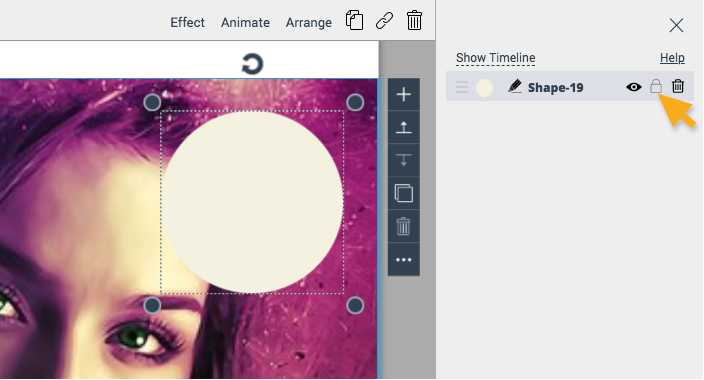 By locking the shape, you no longer have to worry about accidentally moving it when editing objects around it. Tip: Click Unlock Object shown above can easily unlock any objects. How do I lock/unlock an object? 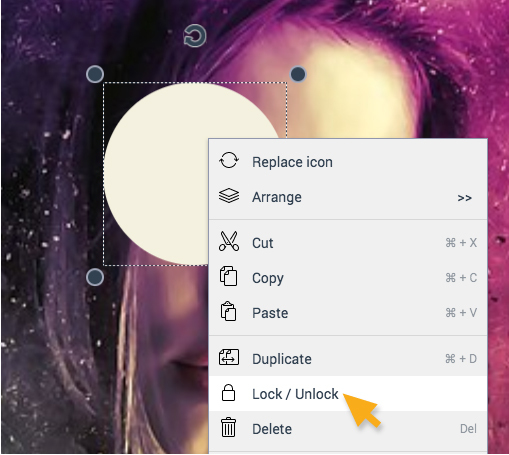 To lock/unlock a shape or an icon, you can right click on the object and select Lock/Unlock option in the dropdown. Or you can go to Menu on the top left of the screen and select Show Object Lists in the dropdown. The object lists will then show up on the right side of the screen. Click on the Lock icon. The light lock icon means it is unlock while the dark lock icon means it’s lock.